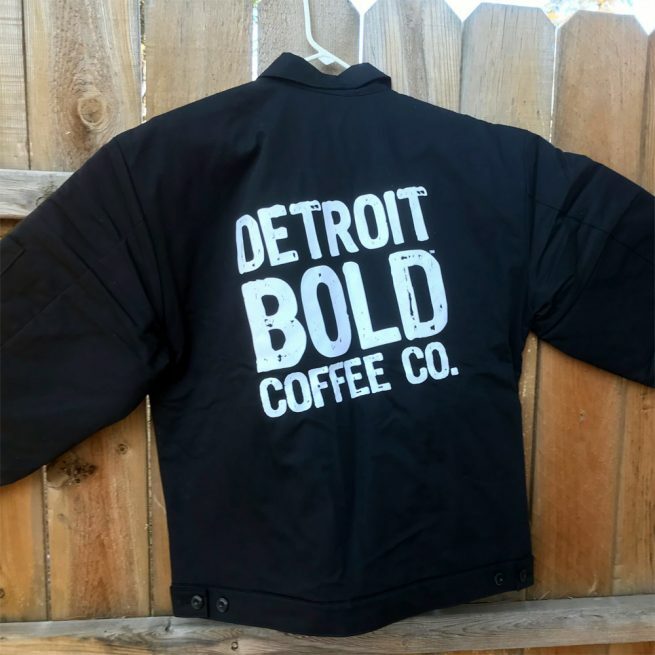 Deluxe Detroit Bold Winter Jacket - Detroit Bold Coffee Co.
Redcap (founded 1923) black insulated Detroit Bold black vinyl jacket. Shipping Time: Will ship in two weeks. Stay warm with this Detroit Bold Winter Jacket! I have one of these jackets. Aj brought it for me with one of his deliveries. 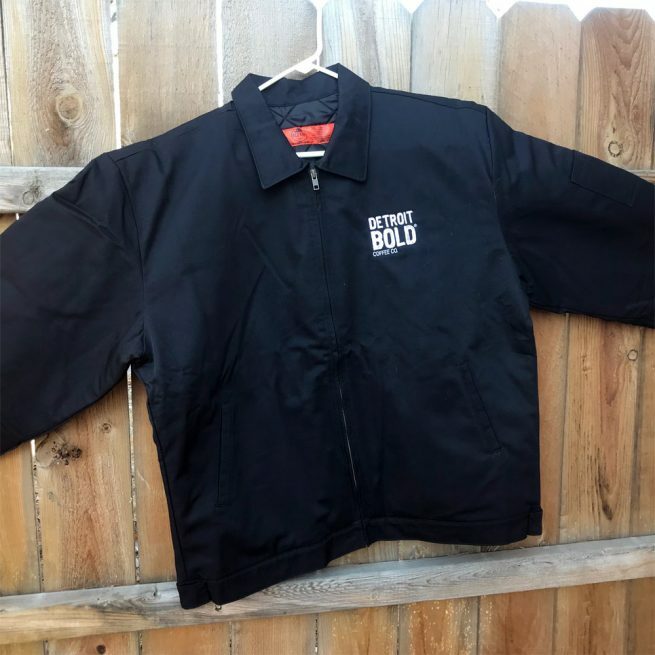 Great jacket to block the elements and looks sharp on anyone. Scoop it up and support Detroit bold now!